After Mercedes-Benz had homologated their GT1 racecar with a single road-going coupe, they went the distance and had HWA build 25 more examples. HWA was the company Mercedes-Benz used to outsource their racing development. 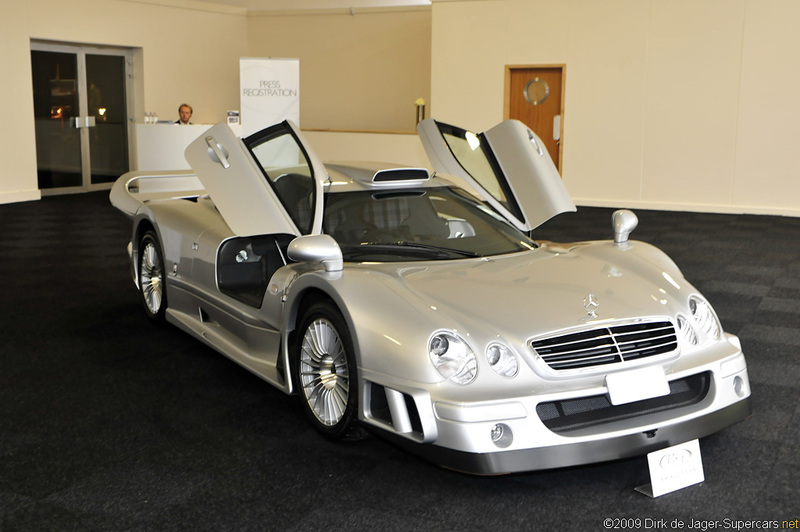 As such, the CLK GTR and all the Mercedes-Benz DTM cars were promoted and sold through HWA. 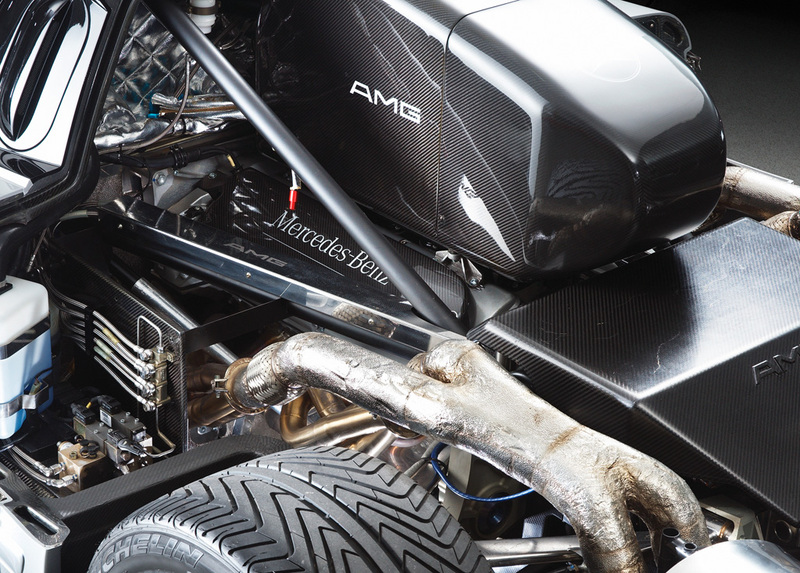 The company behind the GTR Roadster is HWA GmbH and they have a long history developing Mercedes-Benz race cars. 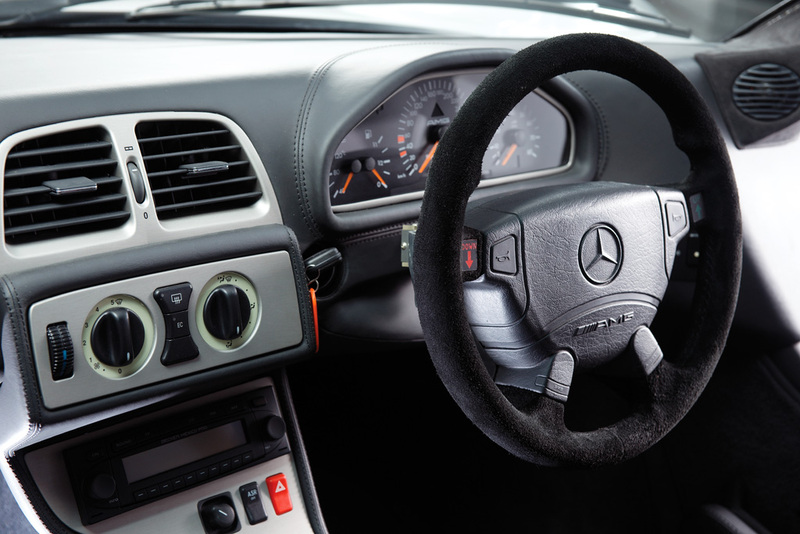 Since 1967, HWA have been producing cars such as the CLK DTM touring cars and other one-of creations. Naturally, HWA also worked with AMG on many of these projects. 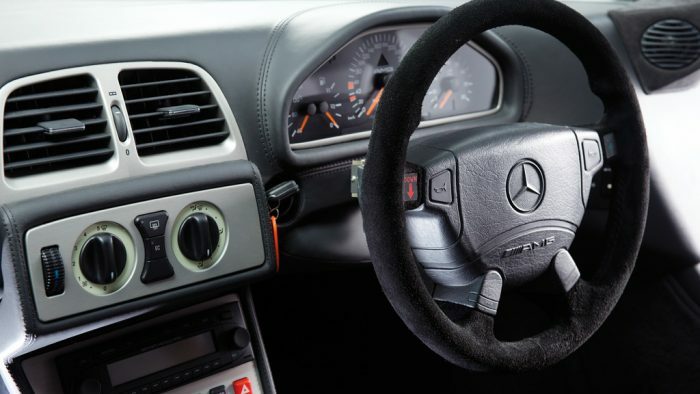 Back in 1999, DaimlerChrysler acquired AMG, renaming it to Mercedes AMG GmbH. In doing so they effectively separated HWA from AMG developments. 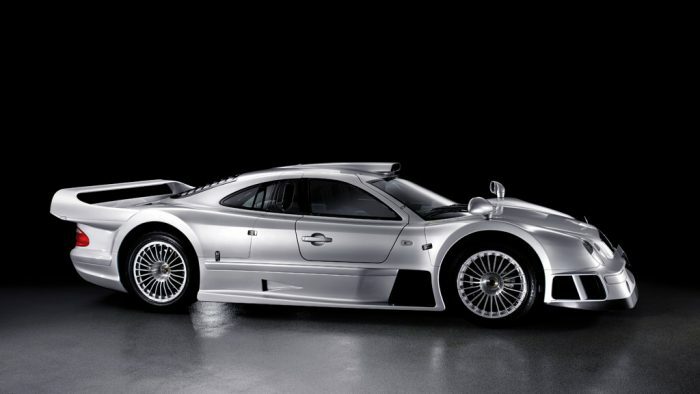 This left the 170-employee firm with independence over its products and let the company produce the stunning CLK GTR Roadster. 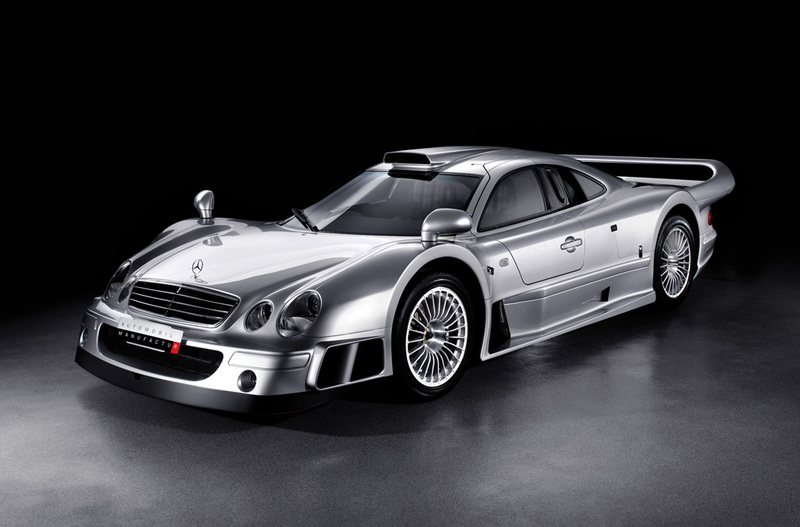 In November of 1998 the very first road-going CLK GTR was completed to homologate the GT1 racecar. GTRs competed in every round of the 1997 FIA GT Championship against the Porsche GT1 and McLaren F1. Drivers Bernd Schneider and Klaus Ludwig took many victories and helped the factory team win the FIA’s championship in 1997 and 1998. Riding on this success, HWA decided to sell a road-going variant and limited production to 25 examples. While the front end of the GTR had a resemblance to the front-engined CLK saloon it was named after, the GTR was entirely new. The road cars (Straßenversion) mimicked the racecars almost entirely from the outside, but featured more forgiving suspension, a lush interior and an integrated wing. 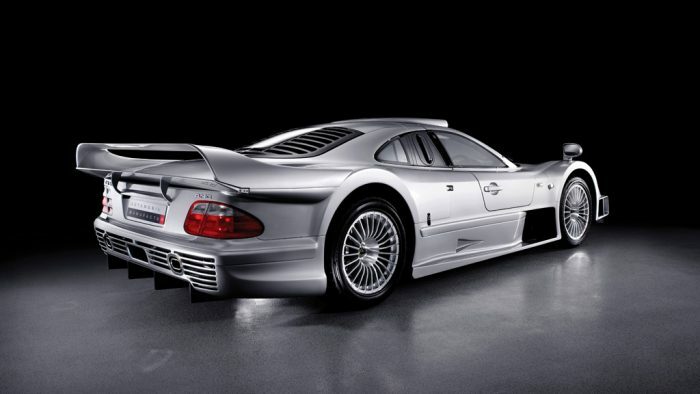 The technology used to beat the competition on the track is bred into the CLK GTR. The basis of the car is a race-proven, carbon fiber and aluminum honeycomb monocoque. Protection for the occupants is provided by an integrated steel roll cage with rigid crash-impact boxes. The suspension is all inboard, like the race car and the ride-height is adjustable. The entire body is made from carbon fiber. Powering the GTR was the M120 V12 based off the SL600. It displaced 6.9 liters and produced around 600bhp. 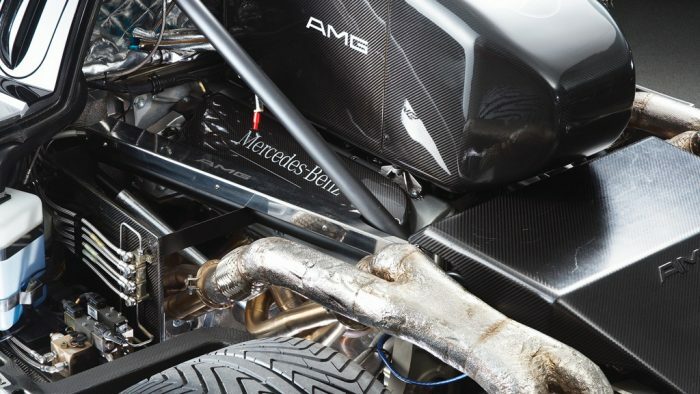 Mated to the monocoque tub and sequential gearbox, the engine was a stressed member of the chassis. A six-speed sequential-manual transmission is fitted to the power plant with gear change by buttons on the steering wheel. Some customers had their car ordered or upgraded with the 7.3 liter engine. Inside the car was very well appointed with a bespoke instrument cluster, a leather clad steering wheel with integrated airbag, air conditioning, an audio system, adjustable pedals, four point seat belts and luggage pods with set of seven suitcases. Most of the cars used the 6.9 liter Mercedes-Benz M120 engine from the S600 series except 17/25, a red coupe which was delivered with the then new 7.3 litre AMG V12. This was singular example was called the Super Sport and motivated other owners to have their cars similarly upgraded. It increased power to 720 bhp, offered 0-100 kph in 3.6 seconds and increased top speed to 215 mph. After 20 of the Coupes were sold, HWA created a limited edition roadster of which only five or sux examples were made. These became the most expensive production cars in the world. The Sultan of Brunei ordered 13/25, a silver coupe with plaid interior and Roadster No.2 Both were the only right-hand drive CLK GTRs produced. 1/25-Silver over Grey Interior. Bought by Don Wallace for his prominent collection in Florida. Fitted with the 720 bhp 7.3 liter engine. 0-100 kph in 3.6 seconds, top speed 215 mph. 12/25-At their Grandes Marques à Monaco sale in 2003 Bonhams sold car number 12 with just 55 kilometers recorded on the odometer for €733,000 Euros plus premium and tax. 13/25-Silver over plaid interior. Delivered in January of 2005 for €1 million to an owner in the UK. Only GTR Coupe built in right hand drive. Offered by RM Auctions at their Motorcars of London sale with just 25 kms from new. Of the 25 homologated CLK GTRs built for road use, the first 20 were Coupés like their racing counterparts. As evidenced by its commemorative sill-mounted plaque, this particular car is the 13th in the series. Official documentation from HWA confirms this to be the only right hand drive CLK GTR coupé ever built. It was specially constructed for a prominent collector and sold new for €1 million according to the same documentation. What’s more, the car has never been road registered and is now offered with delivery mileage only, amounting to 25 kms from new. 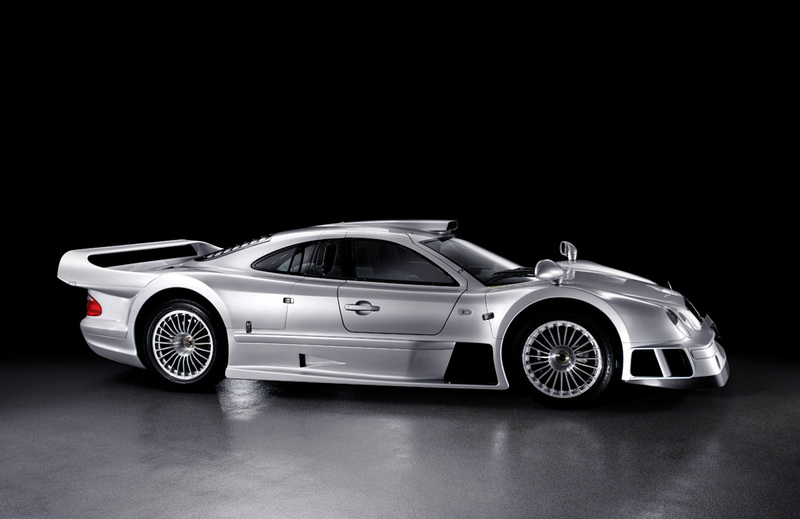 Completed in January 2005, the car is essentially brand new, finished in the typical German racing colour, silver. The interior features plaid upholstery reminiscent of the sporting silver arrows and Mercedes racing cars of decades past.